Das beliebte Aufräumtool CCleaner unterstützt in der neuen Version 4.04. nun offiziell Windows 8.1., den Internet Explorer 11 sowie den Opera Browser Version 15. Außer den Anpassungen an das kommende Windowsupdate 8.1. wurde die Aufräumfunktion des Google Browsers Chrome verbessert. – Added Windows 8.1 Preview support. – Added Internet Explorer 11 cleaning. – Added Opera 15 cleaning. – Improved Google Chrome cleaning: Flash Cookies, Channel ID Cookies and Last Download Location. – Improved detection of Chromium based browsers. 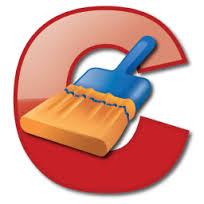 – Added Comodo IceDragon cleaning. – Improved detection and cleaning of portable browsers. – Improved Monitoring notifications (Pro version). – Added cleaning for Sony Vegas Pro 12.0, Bing Search, Bing Finance, Bing Maps, Bing News, Bing Sports and Bing Travel. – Minor GUI improvements and bug fixes. 100 SQL-Queries. Seite wurde generiert in 0,306 Sekunden.